This is a basic/low intermediate level. The students work on basic English structures like verb tenses and different question formations. The reading and listening portion of the books help students gain and strengthen strategies and skills necessary in being proficient in reading and listening, such as scanning, skimming, making inferences, and understanding new vocabulary words from context. The writing portion of the books helps students learn about simple mechanics and organization. In addition, students practice speaking and conversation skills for common interactions. These are intermediate levels. The activities in these levels become more advanced. The textbooks begin using a wider vocabulary and include more complicated structures. These levels continue to work on strategies and skills needed in reading and listening. The writing becomes more complicated as students in this level work on paragraph writing. The speaking activities in these levels also become more complicated. These are high intermediate levels. The textbooks and activities in these levels become more advanced. While the reading and listening activities continue to work on strategies, the activities for reading and listening are longer and use a wider and more advanced level of vocabulary. In addition, these levels move from paragraph writing to essay writing. Speaking and conversation activities involve more academic and professional topics. This is an advanced level. Students work on complex structures in the grammar textbook. The reading and listening activities continue to increase in length and complexity, and use more advanced vocabulary. This level continues to work on different types of essay writing. In addition, more complex topics are introduced in speaking and conversation activities. The class begins with an introduction to the TOEFL test. The complete course is two cycles (24 weeks in the evening, 40 weeks on Saturday) long, but students can take any part of the class. The course includes work on listening, speaking, reading, and writing skills, as well as strategies for approaching TOEFL tasks and testing on the computer. Students will do diagnostics in the skills and take mini-exams. 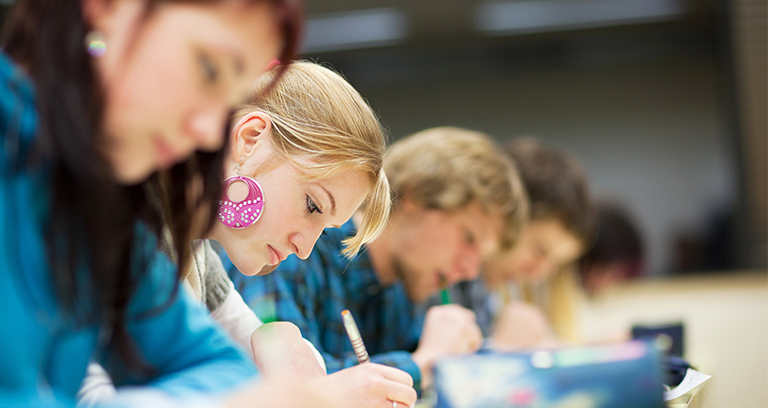 Students must complete level 6 or take a placement test to enter the TOEFL Preparation course. Semi-Intensive English evening classes in Washington, D.C. meet Tuesdays, Wednesdays, and Thursdays from 6:40 – 8:45 pm. Semi-intensive English Saturday classes in Washington, D.C. meet from 9 am – 1:05 pm. Students may enter the program at any time. A placement test allows us to place the student at the appropriate level. The I-20 form for an F-1 student visa cannot be issued for students in our semi-intensive English program. To enroll in any of our English Programs, the student needs to complete an application and pay a $75 application fee. The minimum age is 16. The application can be completed online by going to our Online Application page, or the paper Application Form can be downloaded, printed, and mailed or faxed in. Prospective students may also come to our school and apply in person. Our address, map and hours can be found here. The application fee is $75 for all new students. Minimum enrollment for new and continuing students is 4 weeks. The cost for 12 weeks in the evening or 20 weeks on Saturdays is $765. Au pairs can receive a 10% discount on tuition with proof of their status. The use of class copies during the lessons and handouts are included in the tuition (except TOEFL test preparation classes.) Books are available for purchase for those students who wish to own their books. Once received by the student, books and other materials are the property of the student and are non-refundable. The required text for the TOEFL Preparation course is currently $97. New students: Tuition for the first 4 weeks has to be paid entirely before the student is allowed in class. Continuing students: Tuition is due the Tuesday after the last payment is up. A late fee of $15 is automatically added to any payment not received by Wednesday and increases by $15 for each week late. ILI reserves the right to disallow students in class who have not paid their tuition. Continuing students with unpaid tuition, books or fees from a previous session will not be allowed to re-enroll for a new session until such balance is paid in full. At the end of each level, a student may pass to the next level if he/she has attended at least 70% of the current level. All students who complete their program are awarded a certificate of attendance at the end of their studies upon request. All students are continuously evaluated. In order to qualify to receive a certificate from ILI, a student must maintain attendance of at least 70%. ILI’s English programs are accredited by ACCET (Accrediting Council for Continuing Education & Training), and we offer 1.0 Continuing Education Units (CEU’s) per every 10 successfully completed class hours. Upon request, our certificates of attendance can include the CEU’s earned per course. 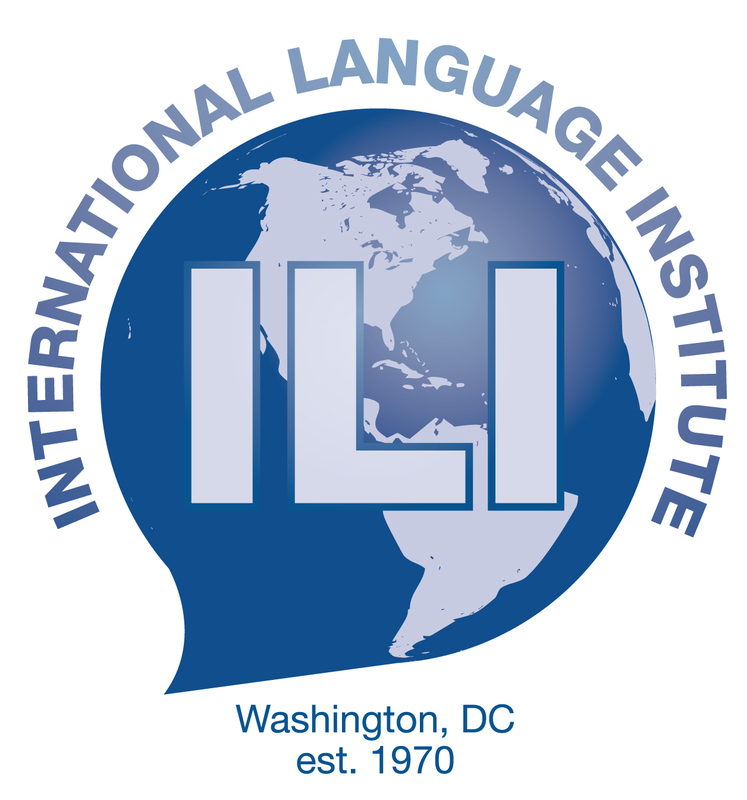 Please contact our Admissions Office at (202) 362-2505 or ili@ilidc.com.